Back in my A-Z post on Gungor, I said that they were one of rare “Christian” groups that were actually good. Since then, I’ve found I’m almost tired of them. I recognize the work behind what they’ve done, but it just doesn’t have the endurance I thought it would. And I do remember while making that post that their early work was mostly unimpressive. The two gentlemen are brothers and the two ladies are sisters. The oldest is 22 and the youngest is 19. Some of their songs (such as in the video) are pretty good, if not exceptional. Each of them are strong believers in Christ. This isn’t a group of dolled up kids with all sorts of effects to hide their weaknesses, it’s real music. And I’d ask for nothing less. Only time will tell with The Vespers. Hopefully in a week I won’t grow tired, but in the meantime and forever more… God bless each of ’em. I have in the past, and still do, struggle mightily with writing. Some of the best things I’ve written were usually written in the space of a single night. Scratch that. Just about everything I’ve written was done in a single night. I’m a terrible procrastinator. Because of this, most of my work tends to come out very unpolished because I have such terrible ability to plan. It’s been a goal of mine to get some fiction (probably a short story) out into the world by the end of the year. For most of 2012, it’s been a tiny voice that says, “So how’s it going?” And I usually find a way to silence it. Sometimes it’s by eating Nutella. In the times I do find myself writing, I’m usually dissatisfied with the results. But the more I think about it, I do have good reason to be dissatisfied. Writing is just so horribly difficult. What you put down on paper is usually discarded by the final draft because you have not fully “gelled” with the mind of the characters or the voice of the story. To give you all an update on how its going: I’m currently in the midst of the biggest project I’ve ever done. I’ve kept at a short story for the last month or so and it’s currently 18 pages long. I’m not near the end yet. The trick was finding the right rhythm. Every night (aside from the Lord’s day) I force myself to get in at least 150 words. More than often I get into it and keep going. But if I hit a brick wall, I know its okay to stop. Looking at this little (read: enormous) thing in front of me, I am dumbfounded that the thing even came out of me. Most of its wires are immediately apparent, but dang…this house is actually being built. And it’s big! I want to keep you guys posted on its status as regularly as possible. So please pray for me and hold me accountable. PS: Claire Boucher has stolen my heart! One of the men who inspired me to start this blog (Dan Phillips) posts a YouTube music video every Monday and calls this slot in the week “Music Monday.” Now out of respect I’m not sure I could this sort of post such a thing, but I will happily link you guys something. Heck, maybe it could be called “Media Monday.” That way I can link you cartoon clips. But today it is in fact music. There are many good renditions, but I like this one in particular because of how rustic and raw it feels. Our path to Heaven begins and carries on through steps of repentance. Joy is certainly what draws us, but we leave tears in our wake. Heck, this cover by the Gordons might be so appropriate because of how thankful and mournful it sounds. The place I got baptized, the first place I heard this song (albeit another version), and a place I remember God had used me to bless another. I didn’t see it coming at all. I didn’t plan any of it. I hadn’t meditated on the words beforehand. But I remember walking through a college campus when this young man of maybe 19-20 stopped me and asked for money. He said his dad had drunkenly barged into his room the previous night and demanded that he leave. I noticed he had severely inflamed knuckles which I could tell he probably chewed on front time to time. I guessed he was on drugs. “Well…I’m a Christian,” he said caught back unaware. I started walking away and he called back “When’s that happening?” What I found so peculiar was his face. It was very red and he had tears gushing down his face. These things don’t happen often. For some of us, never. But I know that God was there and found a way for me to bless the man. To feed him both physically and spiritually. And those words…woh. God just gave them to me. Don’t you know, dear reader, that He is coming back? I don’t know when Christ is physically touching down, but as you rest on your pillow realize that you could pass right into eternity. Or when you’re in your car. Or when you’re speaking to someone. Or in the shower. Or eating lunch. Once here and in the twinkling of an eye gone. And if you belong to Him, all your tears will be washed away. All of them. “Limbo” is a puzzle platformer released by the Danish studio Playdead originally on July 21, 2010 for the XBOX Live Arcade and then spread to just about every major digital distribution platform. 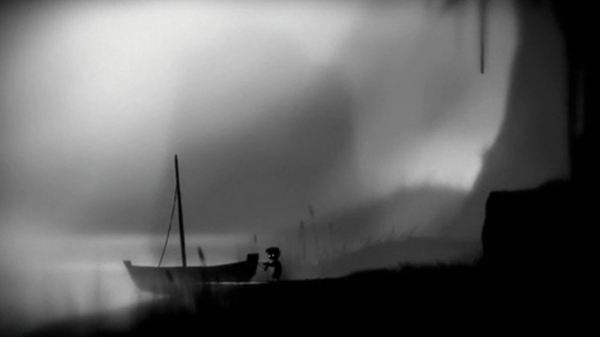 In the history of indie games, Limbo might fit into the Second Age. There was that which preceded “Braid” and that which followed “Minecraft.” “Limbo” fits right in the middle of the two. Or should I say LIMBO. Because that’s what the title screen says. And capital letters, when used sparingly, tend to be spooky. LIMBO is a game about of a boy journeying through a dark world. Some of the surrounding materials, such as the Steam store page, refer to him as searching for his lost sister, but this is not apparent in the story itself. Whatever the case, LIMBO actually has a very interesting plot. It’s not about the boy’s coming of age or politics or anything necessarily deep, it simply shows the decrepit condition of a fallen world. As you take the boy deeper and deeper into LIMBO, you’ll encounter the story through the questions you ask yourself. How did that get there? Was there an alien invasion? Or are those demons? Why does everything want to kill me? Am I playing the bad guy? It never answers these questions, it simply allows you to fill in the gaps however you so choose. Or, if you prefer, not at all. I’ve never played anything that had the atmosphere of LIMBO. It’s completely in black and white, but interestingly (just like the game’s lack of a story) I found myself imagining color where none actually existed. I remember some waist high grass blowing in the breeze and distinctly seeing it as a dried green, but upon closer inspection it was actually gray. If there’s a good criteria by which I usually judge art, it would be in how well it deceives. If it can trick me, it can earn my respect. However the game’s visual genius goes much deeper. Shapes in the background and on the edge (literally the English word for Limbo) of the screen tend to appear faded so as to make you focus on the action, but also serve to heighten the romanticism of the game’s imagery. The sound also deserves similar merit. At crucial points in the story, there will be alarming swells of brass instruments or the most unnerving drones of ambient noise. But what I found most satisfying about LIMBO’s sound is when it used none at all. When I accidentally killed the boy (usually in a gruesome way like a beheading), there was no mopey “uh oh, so sorry” sound. When I successfully solved a puzzle and laid waste to my enemies, there was no happy “You’re a winner!” jingle. All the game gives you is the clear message is that it’s your intelligence keeping you alive. The world does not rejoice with you when you conquer it, it just sleeps quietly under your feet. And it does not mourn when you are crushed, it just silently embraces your ignorance into itself. But the real reason this game is often touted as an example of “art” is not for its spectacular visuals or sound, but for its emotional pull in the midst of action. The first time I died in LIMBO came as a complete shock. I was enchanted by its visual splendor, but once I slid down a hill too quickly and shattered every bone at the bottom I found I was trapped in a nightmare. You see, the difference between a good movie and a good game where the hero dies is in the issue of responsibility. In cinema, the director put him down. In a game, you put him there. It’s a very intimate and frightening experience. In terms of controls, I was satisfied with what LIMBO did. It packs in a remarkable number of actions on a thumb-stick and three buttons (I’m using a XBOX controller hooked up to my PC) and I had no problem navigating the game’s world. While the game does emphasize blurring in various capacities – sound and barely sound, shadows and almost shadows, story and imagination, or even whether its a puzzle-platformer or a cinematic platformer – there’s never a point where it’s unclear how to actually operate it. When you need to jump, you’re not going to think pull a switch. When you need to drag a box, you’re never going to think climb a ladder. This might sound overly basic, but I walked away feeling impressed with how clear the game was about what to do when you saw something. It does this, once again, all through the visuals. With the blurring on the edges, your eyes start to ignore what’s around you. You adjust to looking right into the action. Movement, however, feels a little shoddy. Sometimes the game is compared to the likes of Another World or the early Oddworld games, but I can’t help but feel that within the context of itself it was slower than it needed to be. I was okay that the boy didn’t jump unreasonably high, but the actual lead into the jump felt delayed. My biggest complaint with LIMBO might be that it ultimately failed to complete what it set out to do. 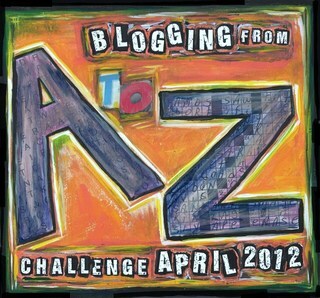 The atmosphere was palpable in its early acts because the boy’s challenge makes sense. If there was a trap set to maim him, it was clear who set it. You don’t know why they’re after him, but you know someone is after him. Eventually the game just gets too big. There’s a point where you think, why is a giant ball about to crush me? Why is the world spinning ever so slowly after I pulled that lever? The game never ceases to be fun, but its charm ultimately struggles in all the bombastic chaos. So no, I cannot easily grant LIMBO access into the Martian Sunrise Canon. While I strongly enjoyed the game’s atmosphere, there are puzzle platformers out there (i.e. Braid or Portal) that fit better as a complete package. But it is at least impressive to know that this is Playdead’s very first game. It’s like your 5 year old kid made you something with his Crayola’s on par with Revenge of the Sith. Maybe it wasn’t quite what it should have been, but dang… this kid is going places. Whatever good things I do, I can only do so many. I can serve others, I can be disciplined in my writing (either for blogging or for fiction), I can pour myself out at work, I can save my money for the future, I can give it to others, I can watch my tongue, I can read my Bible, I can pray for my great, great-grandchildren, and I can do all sort of wonderful things. A man who finds his purpose in being the perfect father will find himself purposeless once his children are gone. And the same man who accidentally berates his children will find himself a failure. See friends, this is the problem. Actually we probably won’t do that. But we’ll likely meditate upon these lies in our heart. And we might even think that we’re becoming more Christ-like with how depressed we make ourselves out to be. Which is really quite demonic when you think about it. My pastor once said “God is not love with a future version of you.” God is absolutely wild about the bedraggled nincompoop called yourself. When you fail, God loves you. When your duties change, His love remains the same. This is all because God’s relationship to us is built on what He’s done and not on the activity or cleanliness of our hands. Notice how Paul clearly represents the heart of the gospel by saying “in Him.” God’s promises, for the Christian, are not made in light of what we do. Quite the opposite. God’s promises are made “through Him.” And it is to the praise of His glory. The careful examination of God’s character and the hiding away of His word in our heart, that is what compels us to action. It is not from trying to earn anything. We do not reach God’s favor by climbing a mountain of our own good deeds. So I’m happy to be serving you because of how God has served me. I need the discipline of writing for you, but I cannot turn it into an idol like I had previously did before the break. So if I’m mysteriously gone for a day without a word, know that I am happily not worrying that I had let God down. But do count on me being here for you all. Discipline is a wonderful, God-honoring thing. I love you. Let us continue.